If reading is your hobby, then you have come to right place. 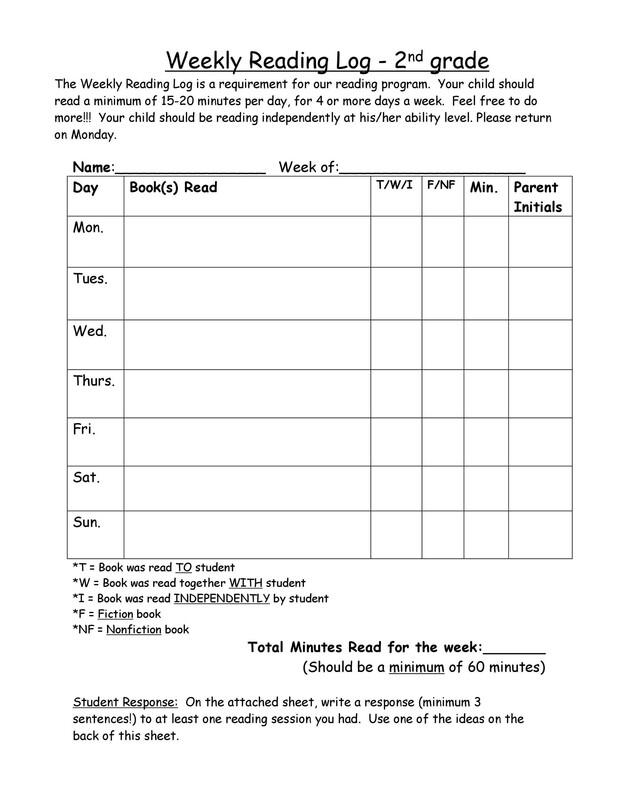 Maintaining personal reading logs can help you track and keep a record of your favorite books that you might have read in the past or are currently reading. 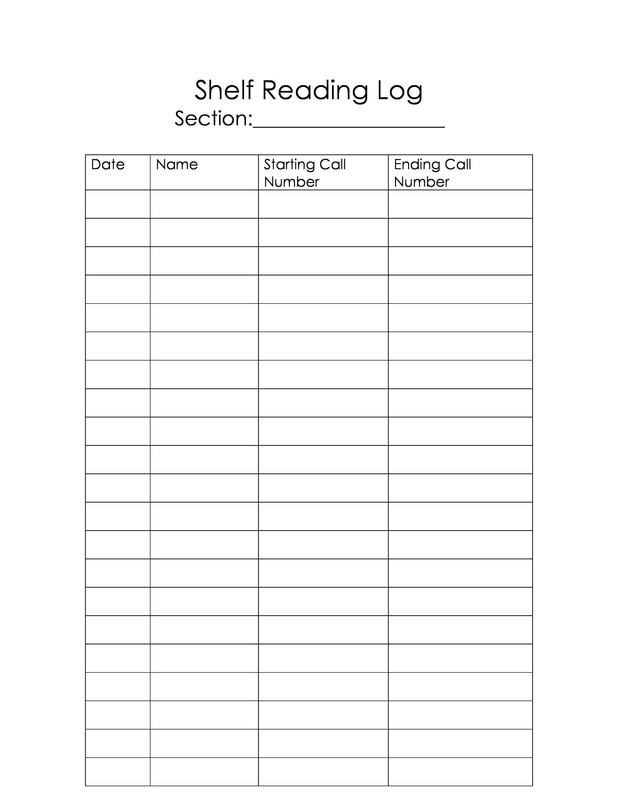 Just like they help you in keeping records, a reading log is a smart form chosen by teachers at primary level to keep the study regime of their pupils on the right track while parents can also use them to make sure their children maintain a reading habit. 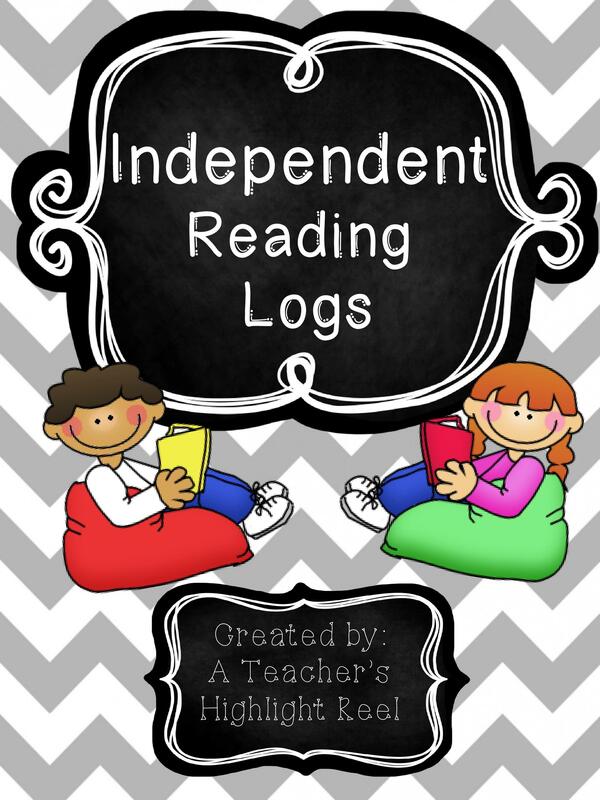 2 What Exactly is a Reading Log? 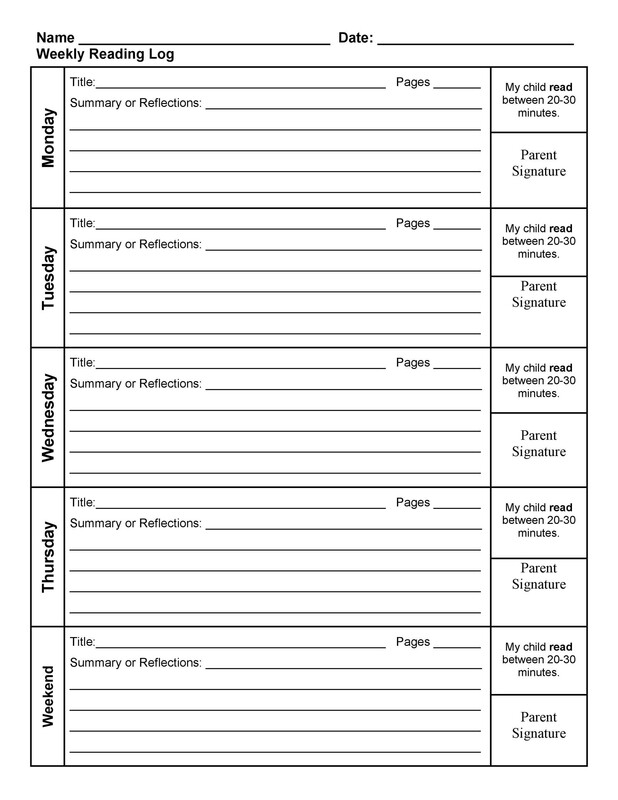 6 How to Make a Reading Log Template? 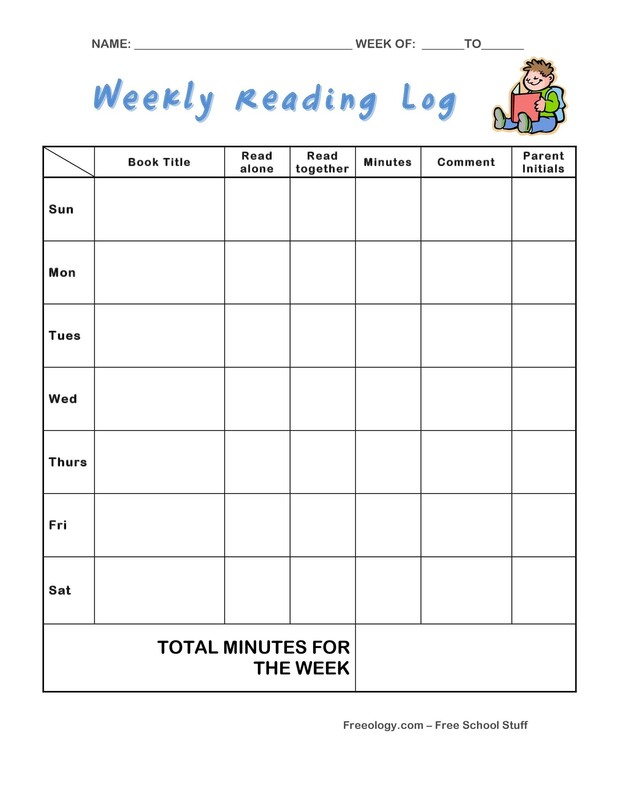 Reading logs are also called as reading journals, reading diaries or reading registers. Reading becomes more fun when you have a handy record of books. 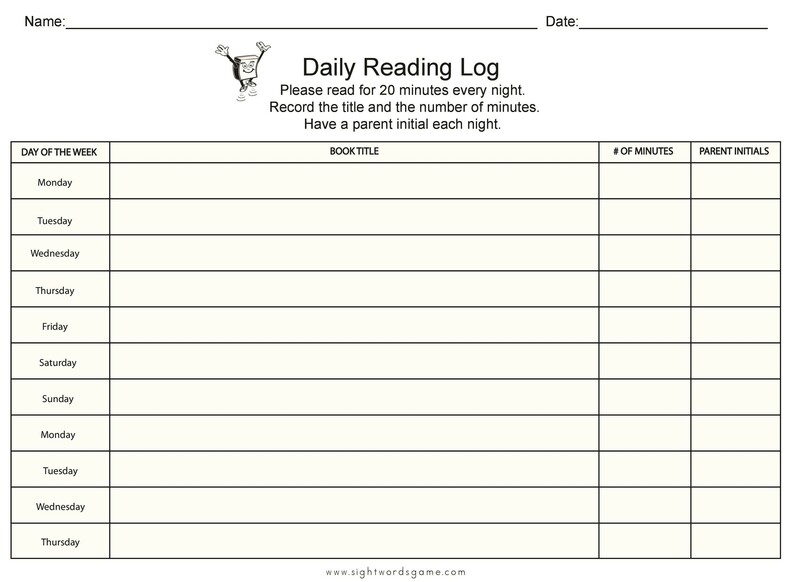 Being a great tool for readers, it helps you in maintaining a dated log or reading your diary or journal. 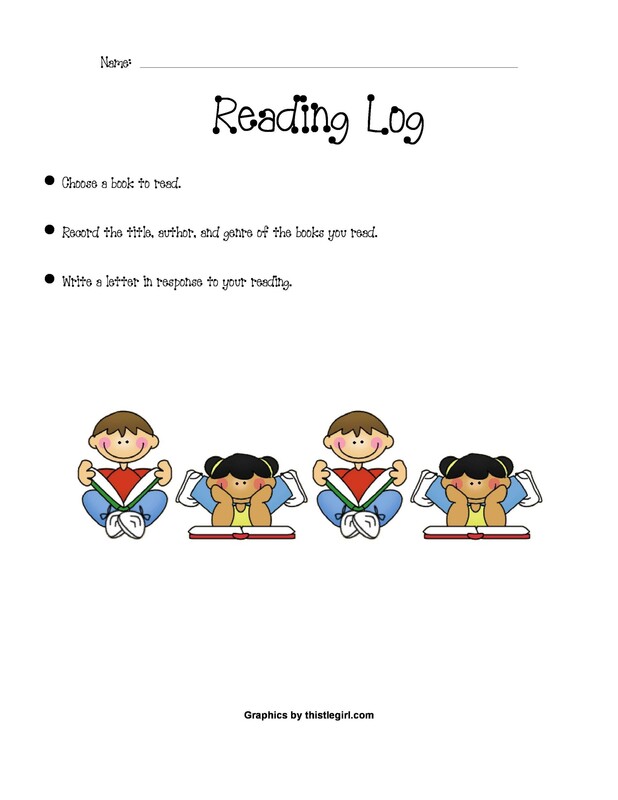 A reading journal can be designed in any way, making it fun and colorful if you want to give it an appealing look. Also, it does not have a standard format but does have some standard content which should be included in it. 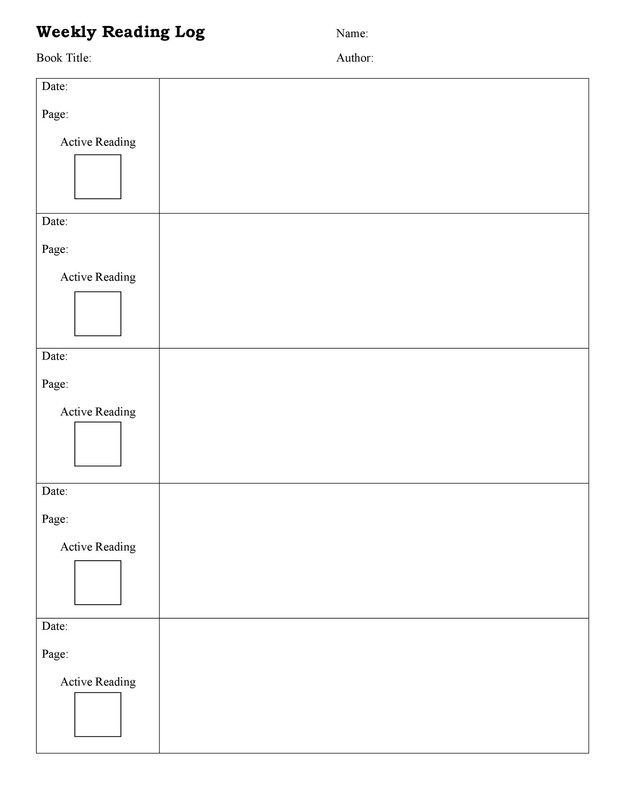 In addition to having a standard format, you can also add in your comments, reactions, details about the plot, theme of the story and motifs to remember the book by. 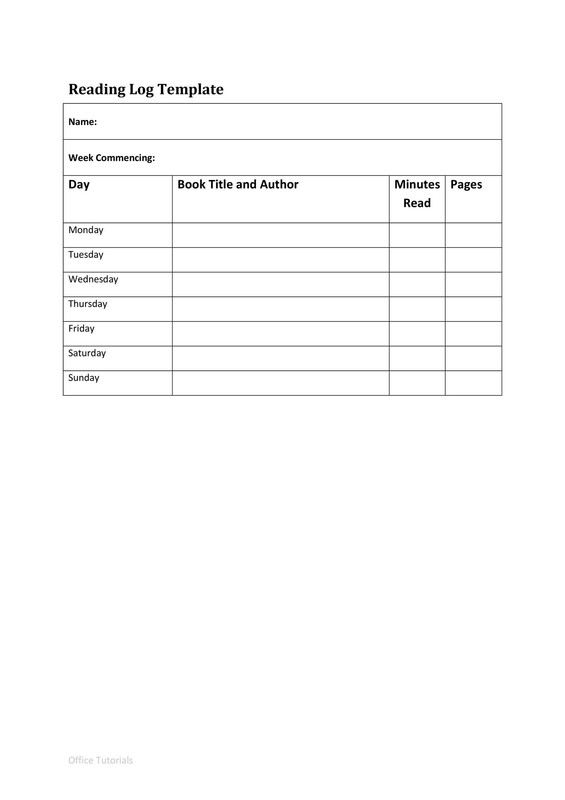 Whether you like horror, mystery, romance, apocalyptic, crime novels or a mixture of all of them, a reading journal can add your comprehension of books you read and which belong to all sort of genres. If you are a reading fanatic or a bookworm, then you would agree that revisiting the ideas and thoughts about what happened in each book you read is simply amazing. Also, it makes you recall about all the characters you loved and were passionate about. In fact, it encourages you to read more novels by the same author. 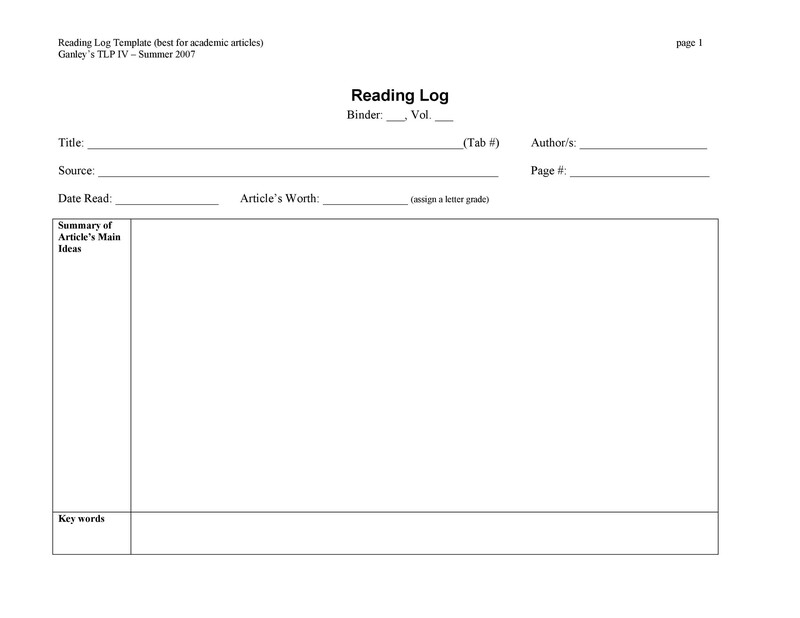 If you want to maintain a reading journal, then keep on reading this article. 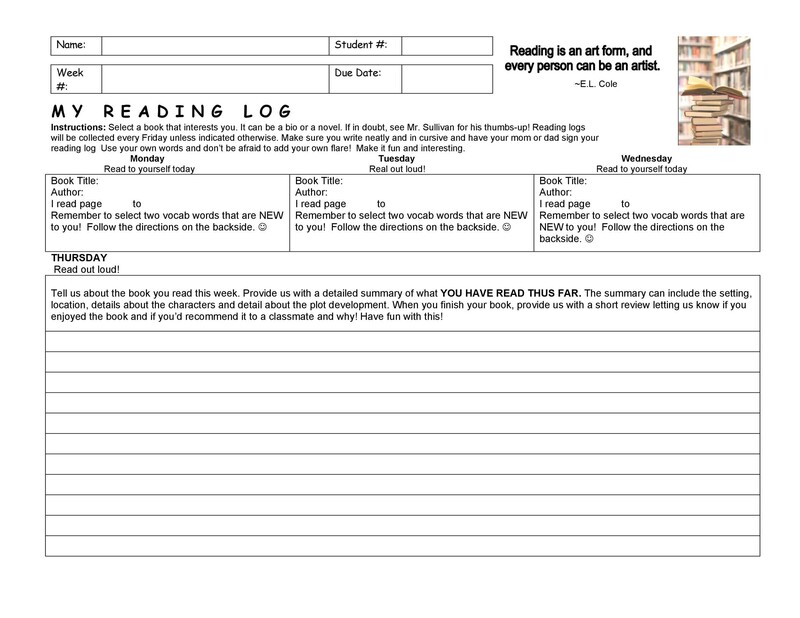 What Exactly is a Reading Log? 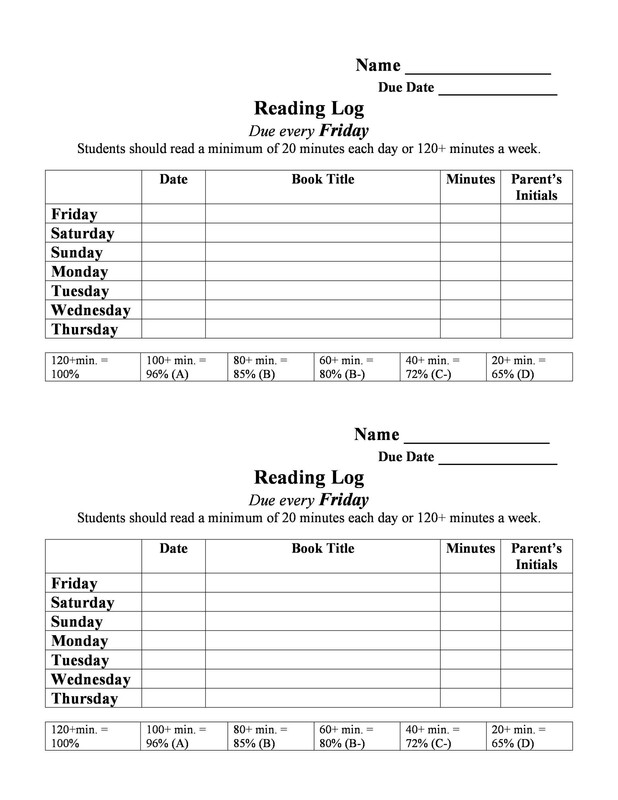 A reading log is actually a diary or a journal which lets a person record their reading activity. It is basically a note of what you have read so far, when you read it and how many pages did you read. It simply summarizes what a person reads, highlighting the date, pages and sometimes, interested readers also mention the name of the author, the plot, their favorite scene, the climax and much more, depending on their preference. Often, readers choose to maintain and customize its contents on their own in order to make it more enjoyable and fun for themselves. Expanding their enjoyment of the literature, they design it to make it look more appealing. 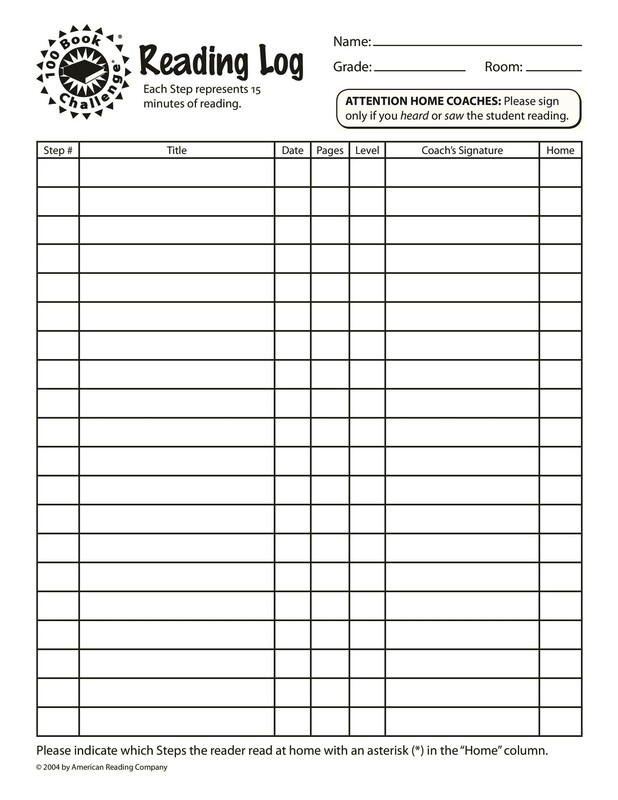 It is not just a journal for book lovers; in fact, nowadays, these are used in schools by teachers and at home by parents who keep them as student-kept records of books, to build a habit of reading among them. 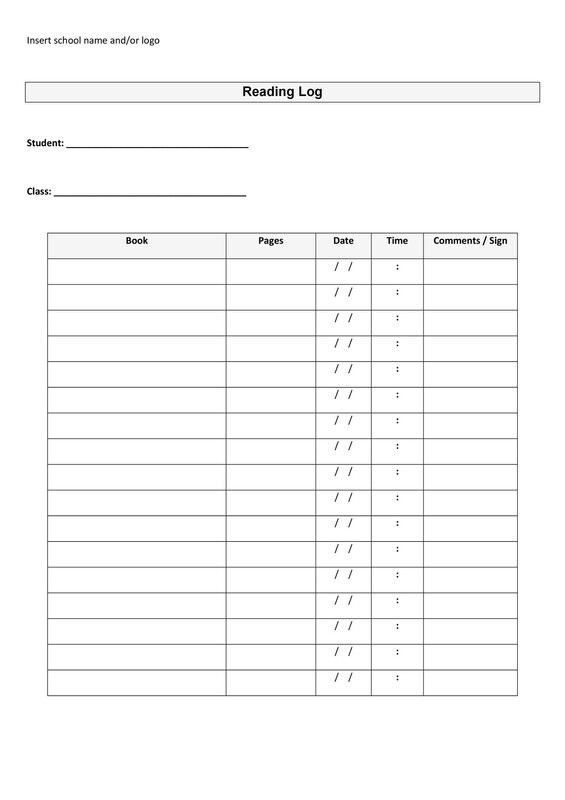 At the academic level, reading journals are maintained in a standard format defined by a specific period, serial number, date, title of the book and name of the author. However, teachers and parents make it fun for children by designing it in several ways and adding colors to it. 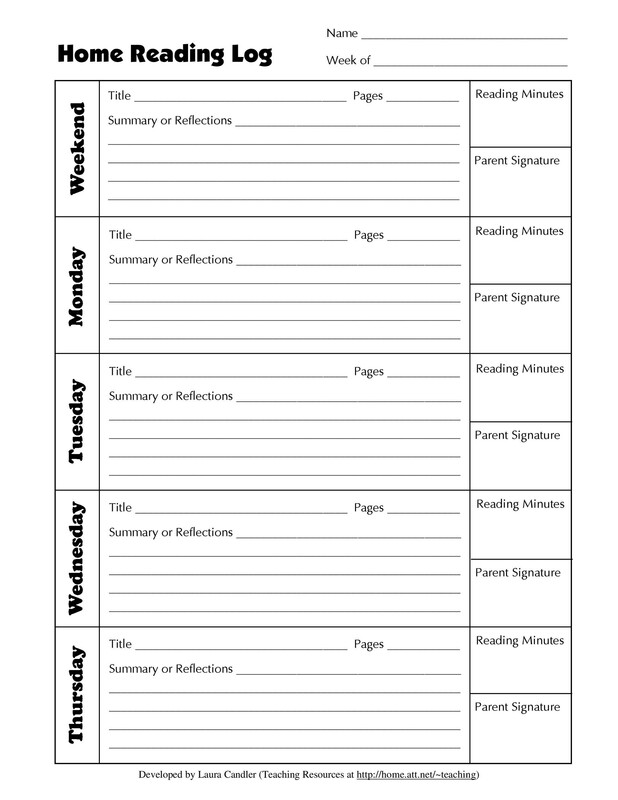 You can check out reading log templates for kids online and get an idea about it. 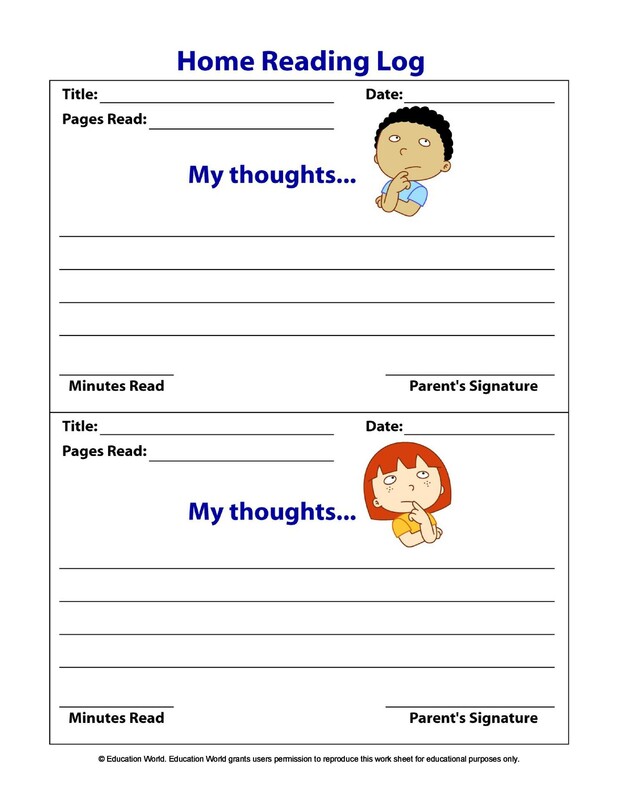 A reading diary helps book fanatics record their thoughts about the book, their connection with the text, theme, color, plot and characters they come to know. 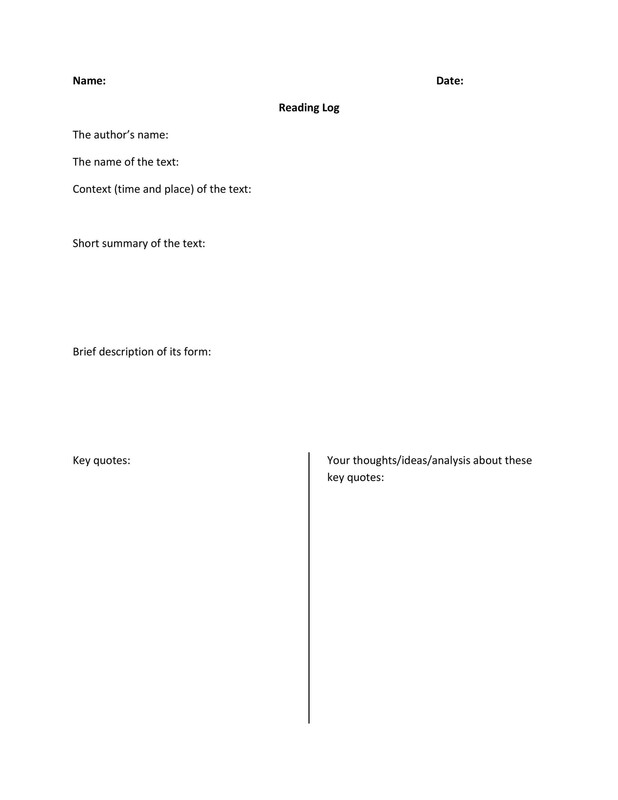 Along with this, it helps you gain an insight to the text. 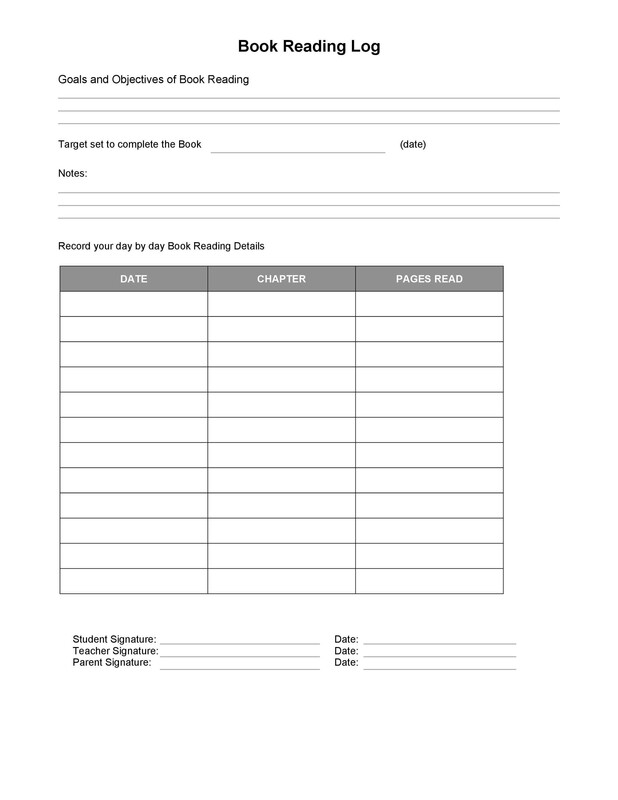 If you are also a bookworm, then try maintaining a reading journal. 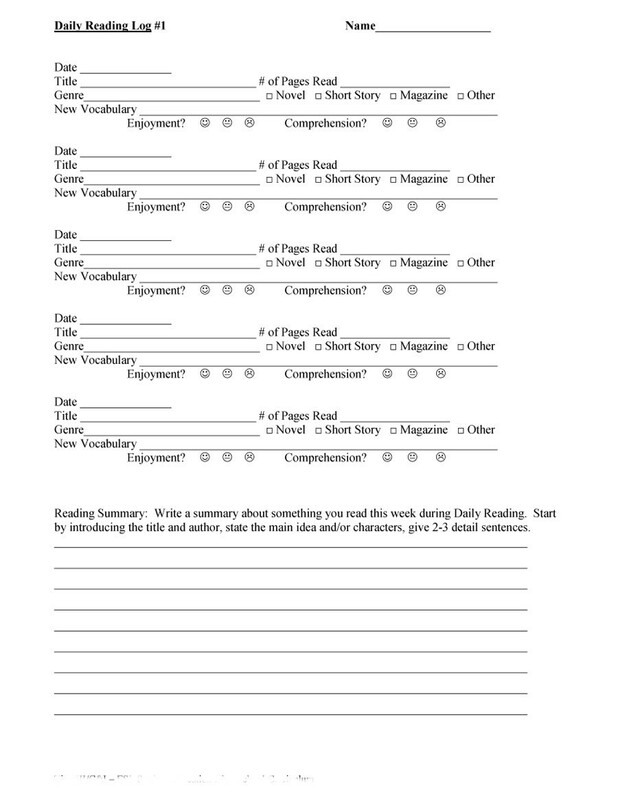 It will help you summarize and organize your reading. 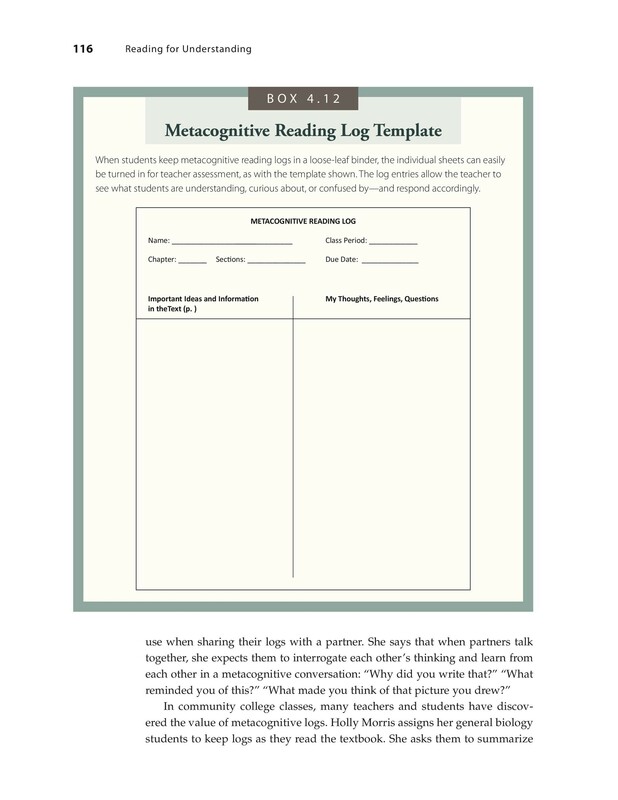 Given that a reading journal helps you summarize, it also provides you with a more memorable literary experience by allowing you to vent out your thoughts about the content of the book you read. 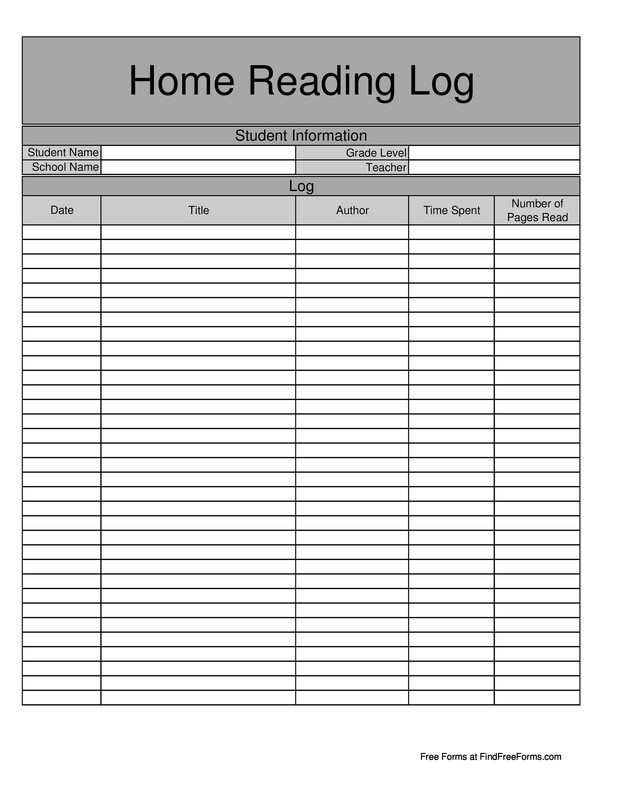 Those who really want to feel a sense of achievement should opt for reading logs. This diary becomes a very valuable item for the reader as you can share it with your best friends and partners who are also book worms like you. 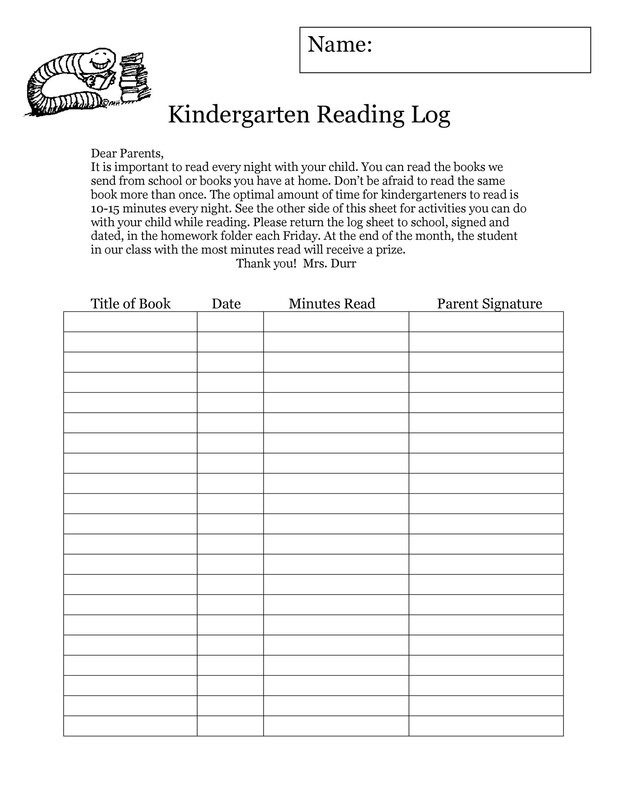 Now that you know what a reading log is, you should also understand the reasons to keeping it. When you read books on a weekly basis, then you normally do not tend to remember what you read. Even if you remember things, a time will come that you will not remember it all, as you will be reading so many more books in the future. 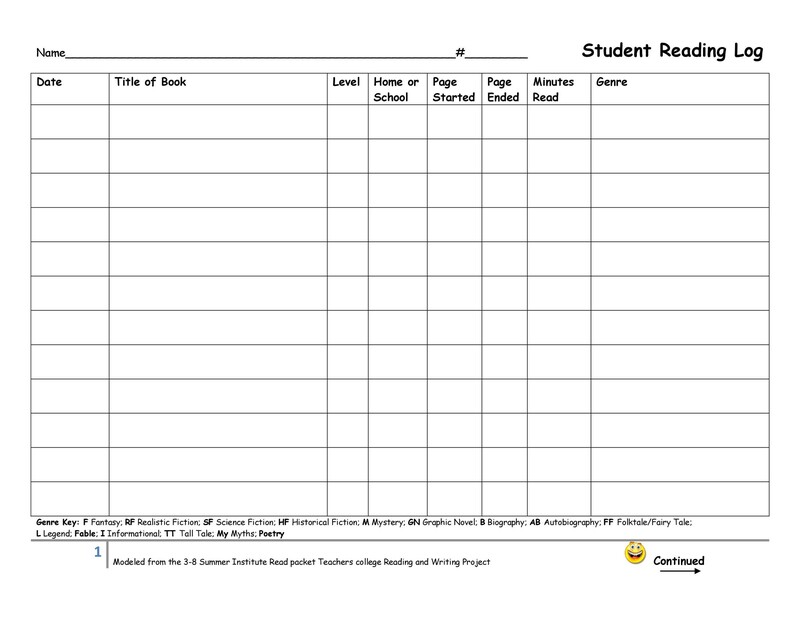 Consequently, a reading register helps you remember what you have read. For example, when you watch a movie based on a novel, you do remember the story but cannot remember what book it is from. In such a case, you need not worry. You can simply skip through the pages of your reading journal and recall it and brag about knowing it among your friends. 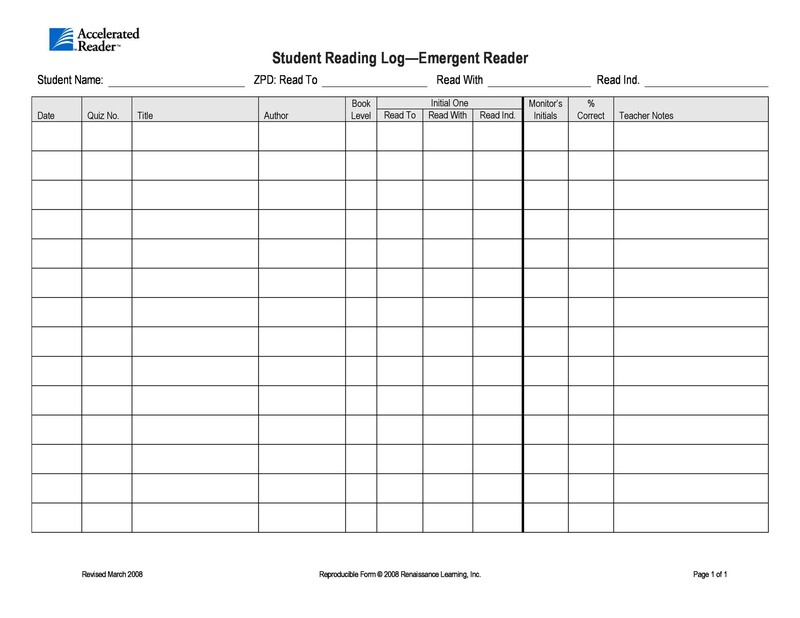 Whether you need to read books for your final thesis or you need to read them simply because they are so awesome or your best friend recommended it, a reading register will aid you. 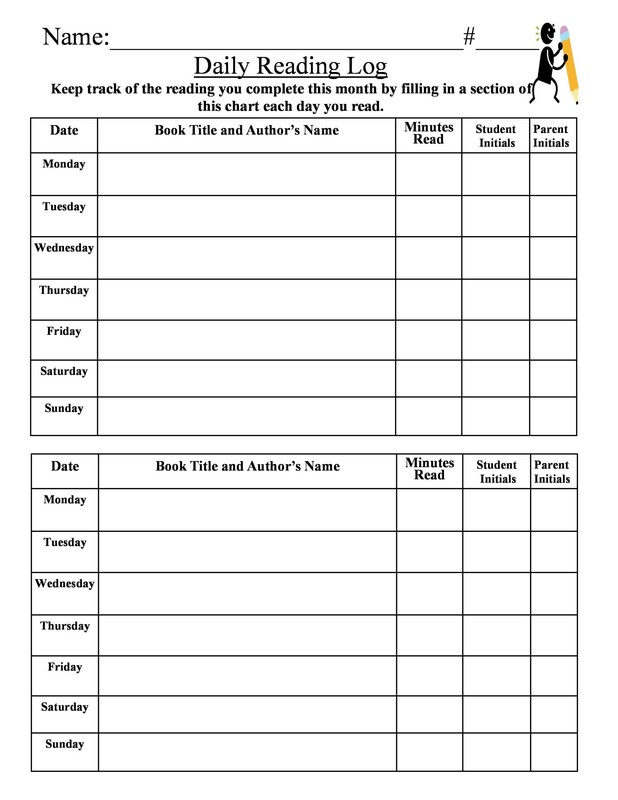 By keeping a record of all the books you have read so far, a reading diary will make you determine the amount of books you have read in weeks, months or years. 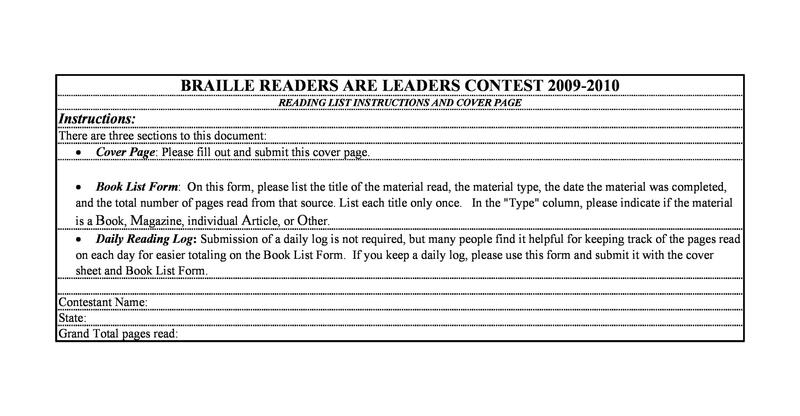 After looking through those pages, you will literally feel a sense of achievement within you. Book worms do not need a reason to read; they just read because they love reading so much and they want to experience and make the most of it. Ultimately, they feel things. If you are a book fanatic, then you would also agree to it. But, if we talk about other readers, reading for research, for study purposes, for a project or anything else, they would also feel something. No matter what the reason is for reading, you do feel something after reading. 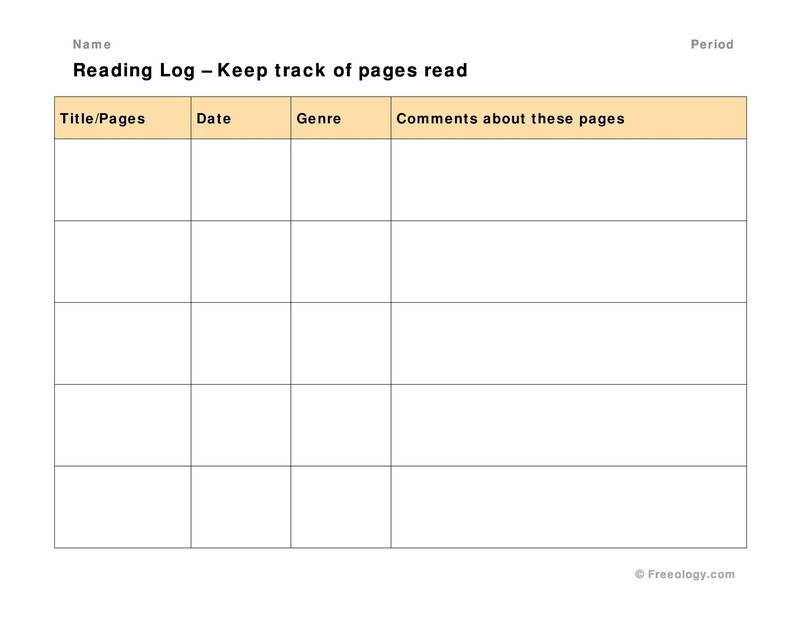 A reading log helps you record your impressions too. You can write your comments, remarks or anything you would like to call and simply write it to recommend it to others. 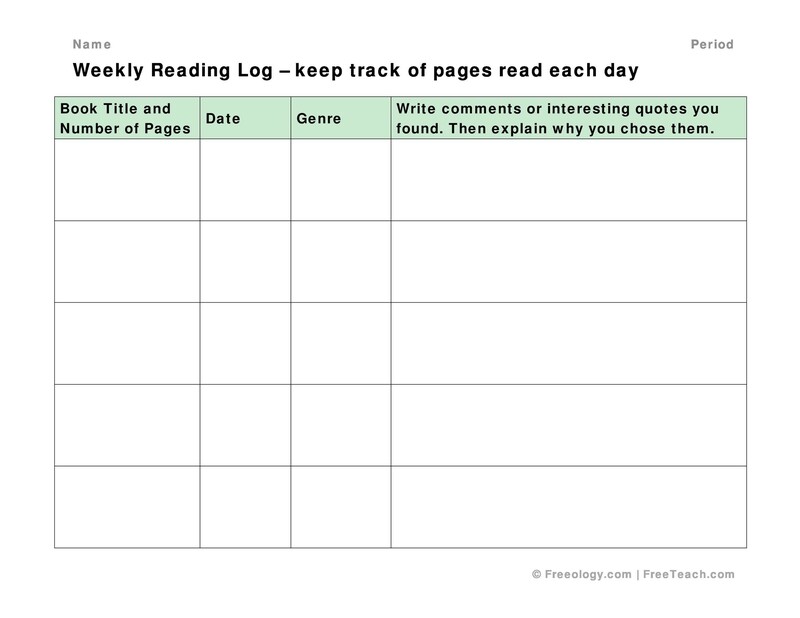 This lets you figure out what the book did for you in particular and how it affected and changed anything within you. You can actually show how thoughtful you are by reading your impressions. When you see through a reading journal and see that you have read the same type of books in the past year and keep reading them a lot, you realize what your favorite genre is. Also, when you find a similarity in the genres of books you read, you can also make changes regarding the books you read; if not permanently, then at least temporarily. Also, when you read new material, you get attracted towards it and want to experience more of those types of books to figure out something new. When you read different books, you will get to notice how diversified your reading taste is and how much it has evolved with time. Writing definitely helps in remembering things and acts as a memory aid. There is no doubt that when you write things in your own words, they are actually stored in your subconscious (which you may also not know). You may be just writing and not memorizing for yourself but in reality, you are just taking the substance of the words you have read. 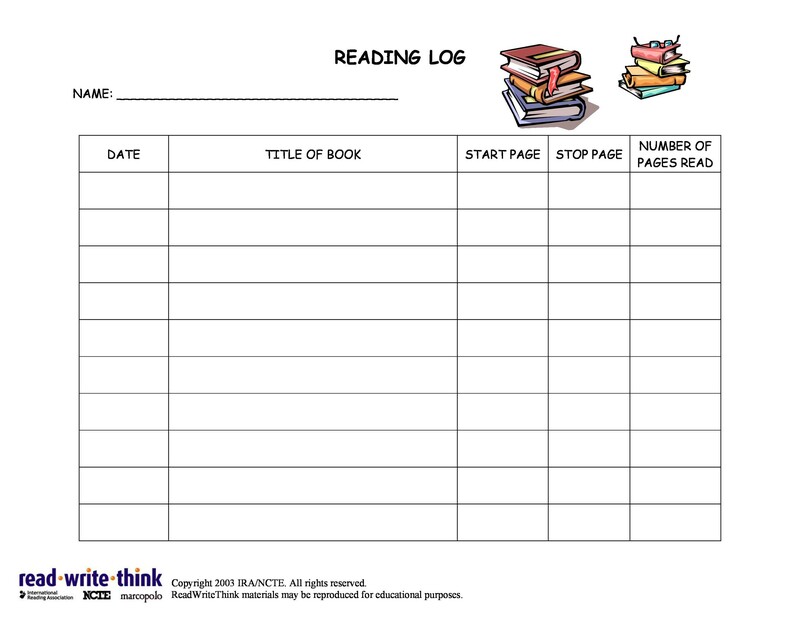 Keeping a log will help you remember everything you have read in the books. Also, when you will write them in form of comments, you will remember it even more clearly. As they say, active readers can be better writers. Yes, this is in the right. When you read things more often, you store things in your mind and when you write about them in your journal, you are actually practicing close reading. You unintentionally focus on what works and what does not work in a book. You get to learn more about grammar, syntax, structure, sentence making and vocabulary. In fact, you get to learn different ways to form sentences. 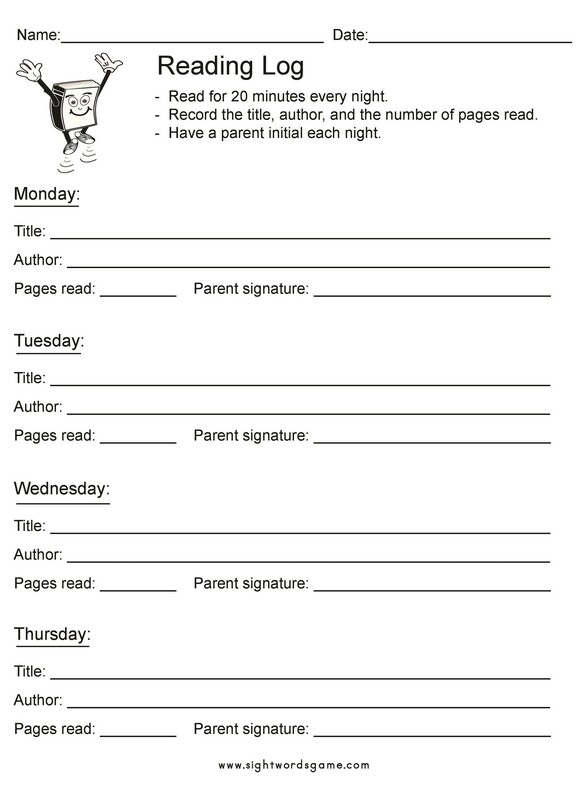 Also, you become creative when you read and write so much in your log after experiencing the works of different kinds of books written by different authors. 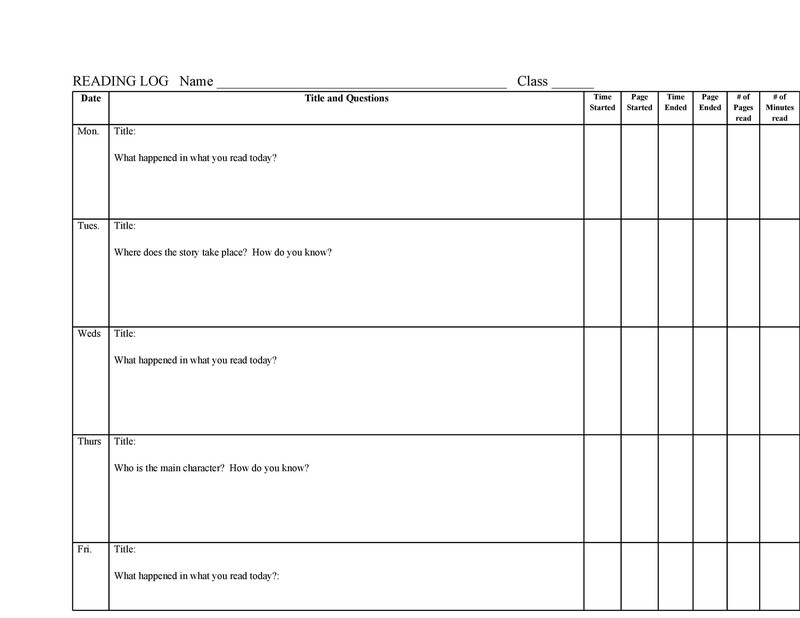 How to Make a Reading Log Template? Reading diaries is really fun to maintain. 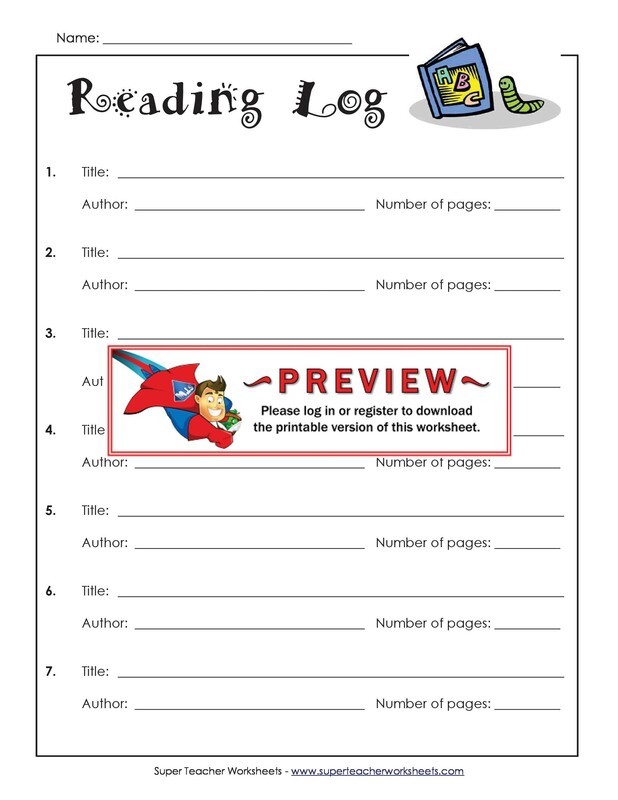 There are several reading journals available online and you can find reading logs in pdf and word too. 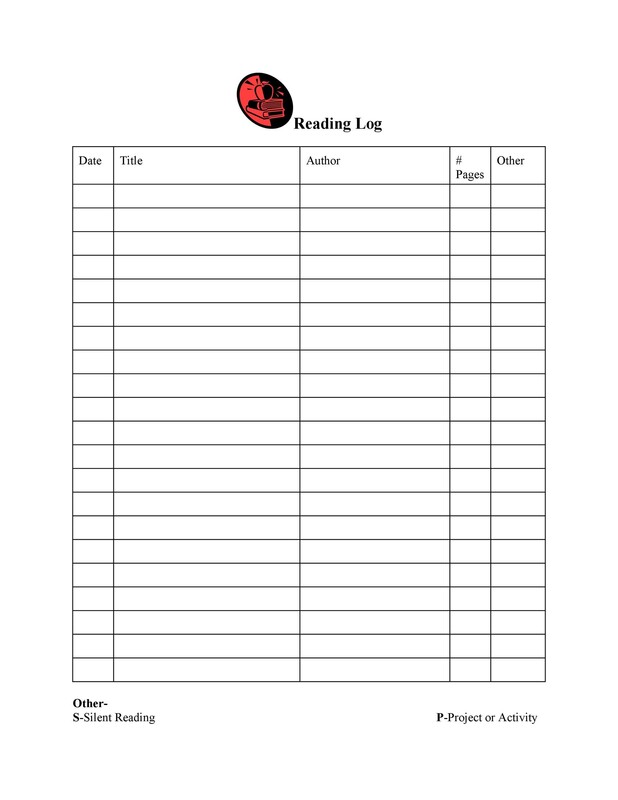 Simply download it from our website and edit it but if you are interested to making your own personal reading log template, then you need to read this carefully. 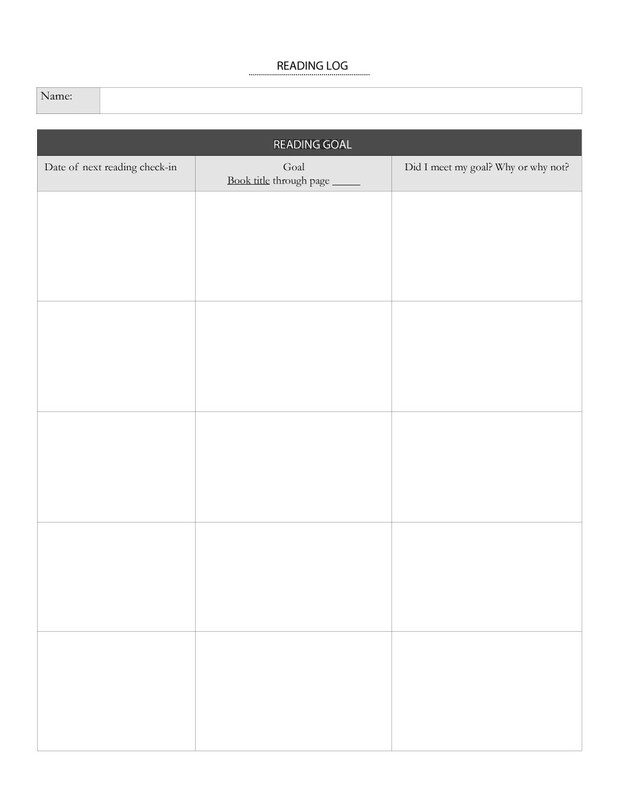 The first step to making your own reading diary is to buy an attractive journal. If you really wish to stay motivated and open eyed, then you should choose a colorful one. However, if you are a sober person, then you can opt for a simple one. 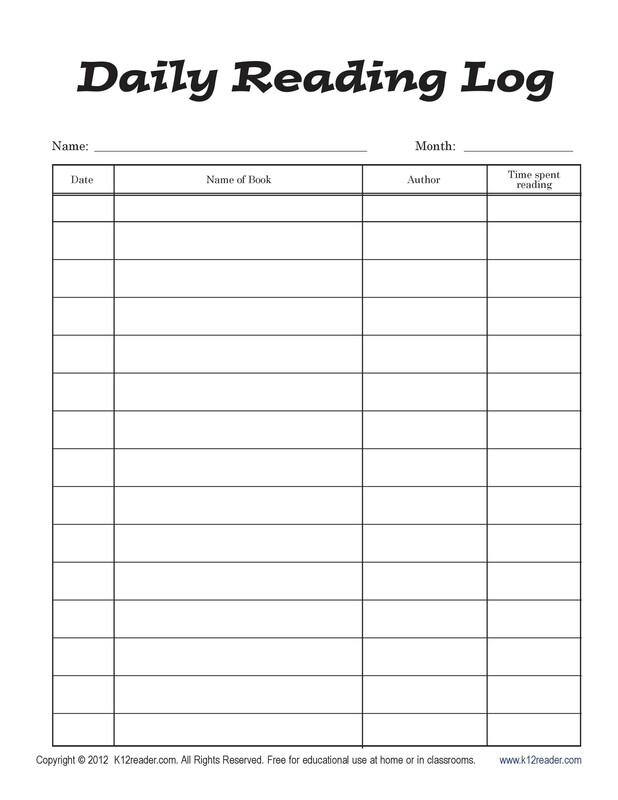 Journals come in lines and without lines; you can purchase the one you are looking for. Also, they come in plain, simple and leather covers. 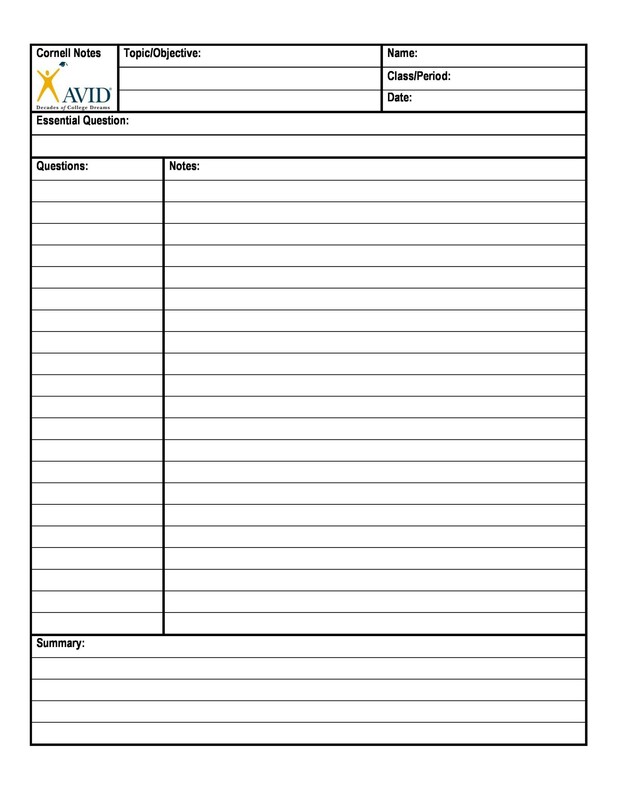 Since you are fond of reading books and wish to maintain it for a longer time period, then you should opt for an archival paper journal as it prevents the pages from yellowing and deteriorating. As you are a bookworm, you love investing time in reading. 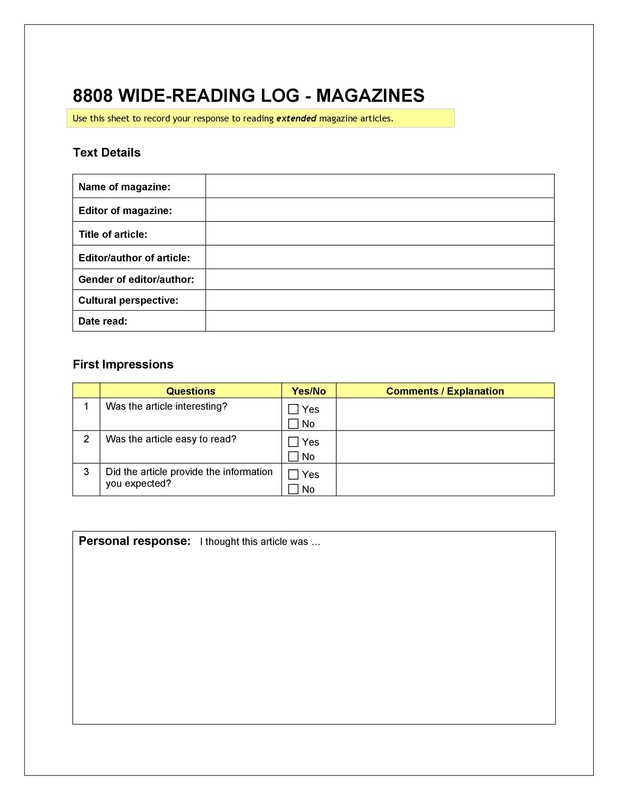 To maintain a good reading register, you have to read very actively and widely. You can find a wide variety of genres of books in several styles, introducing you to new concepts, ideas and authors. 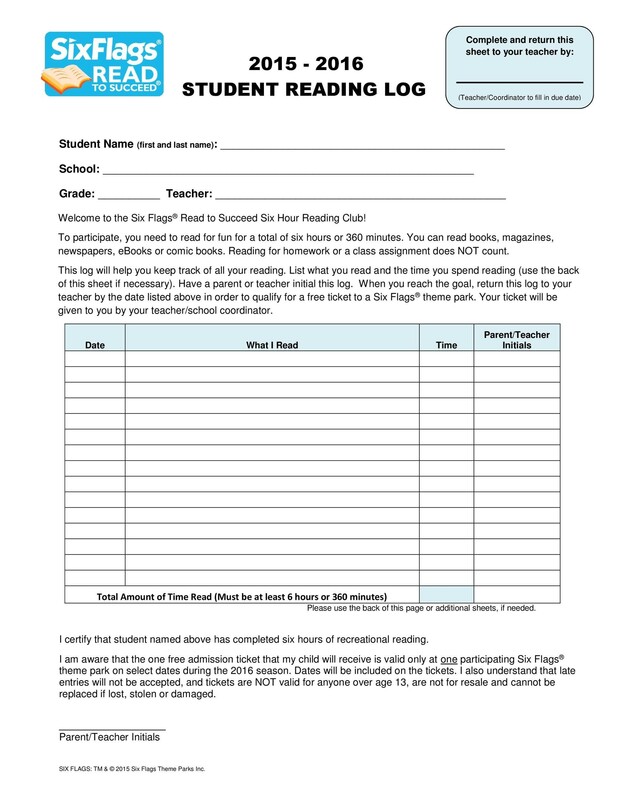 If you read the new material, you will be able to make your reading register more interesting. To read actively, you can also ask for recommendations from your friends as they might know of an excellent book to read. As a book lover, you would simply read and finish the book in a week or days perhaps, isn’t it? 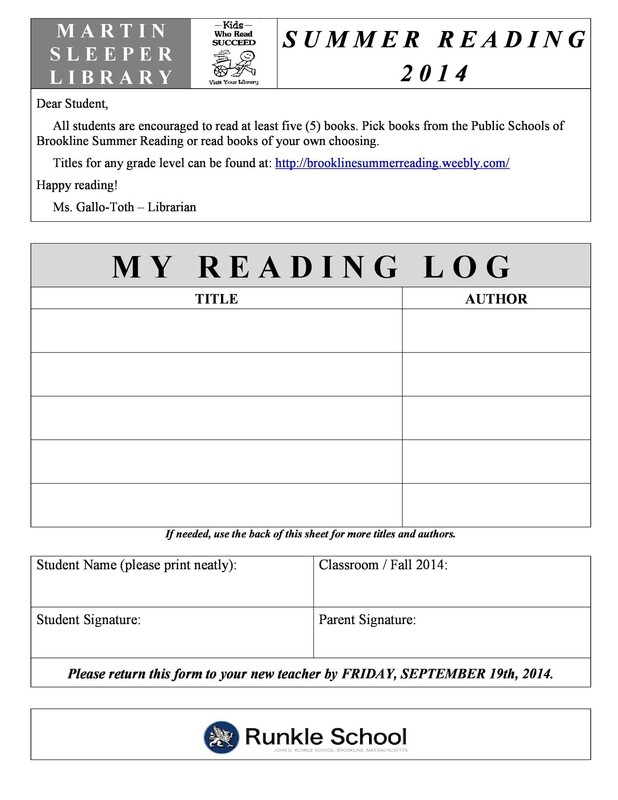 When you read a book, you should not forget to write down its bibliographical information in your reading log. You should be disciplined in jotting down the important information of every book you read. The bibliographical information may include the following. 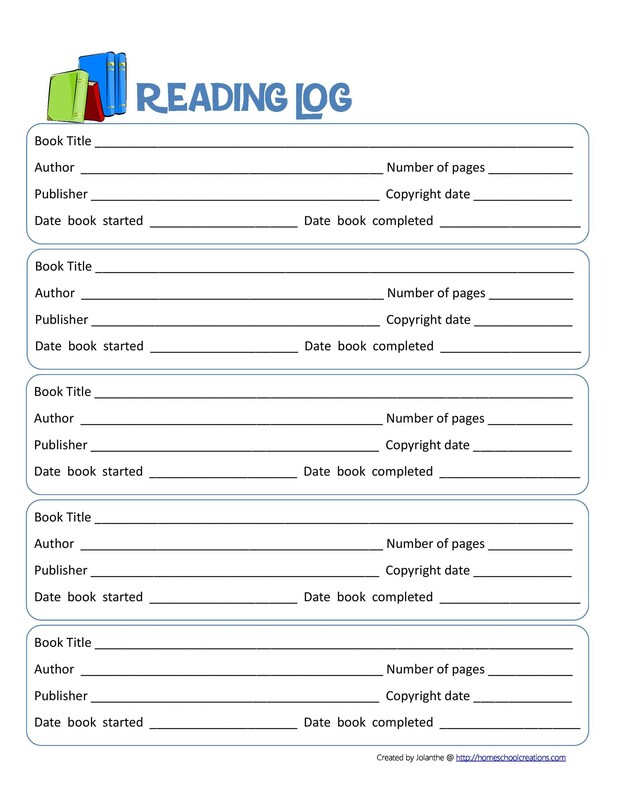 If you really want to remember things and want to maintain a good reading register, then you should not skip the bibliographical information. Often, people do not find this information interesting and useful and hence, do not write them in the journal. 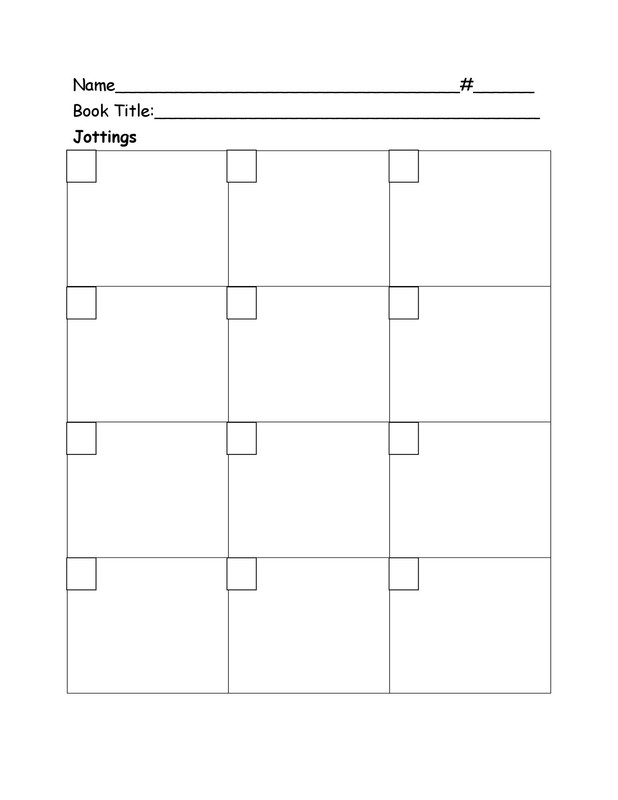 They are mistaken because they help you remember things and makes a journal more organized. 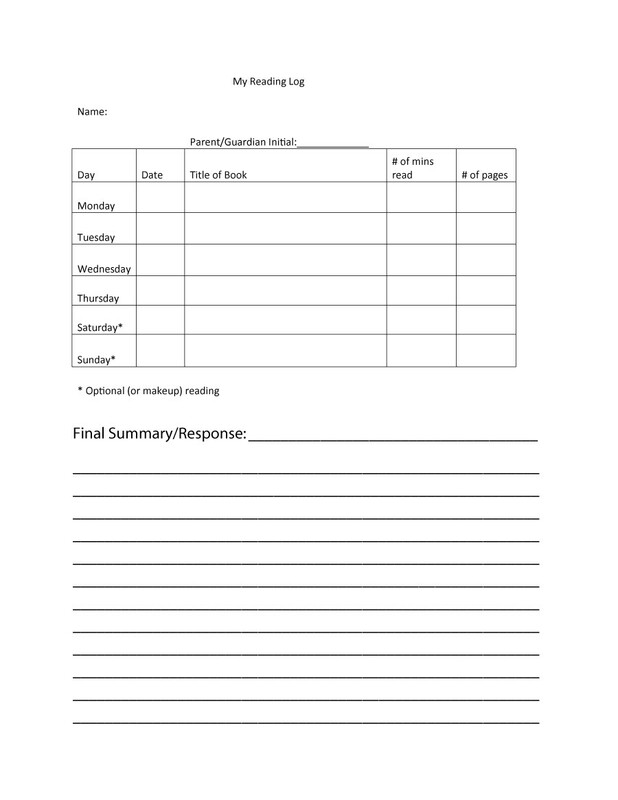 A reading diary basically serves like a journal to you. Therefore, you will have to write down the dates too as you read. Dates will help you remember the time when you read the book and cherish the memories. When you read, you often find things that appeal to you the most. 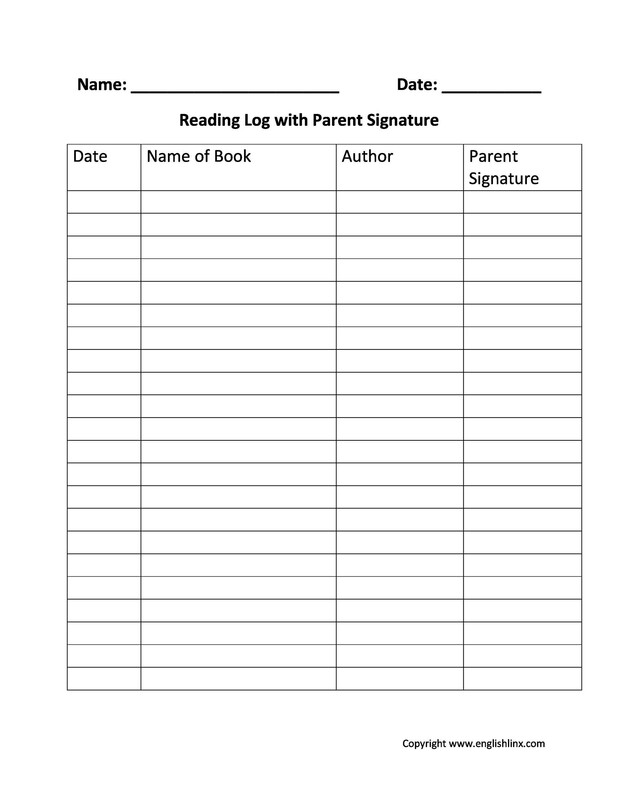 You can always record those things, paragraphs, items, quotes, passages or anything you read in the book in your reading log. 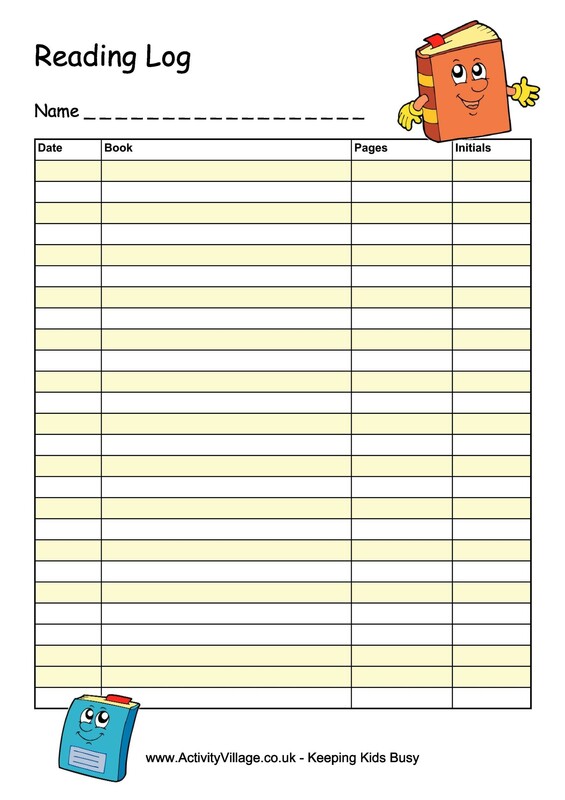 However, when you write them down, you need to ensure about the page numbers too. 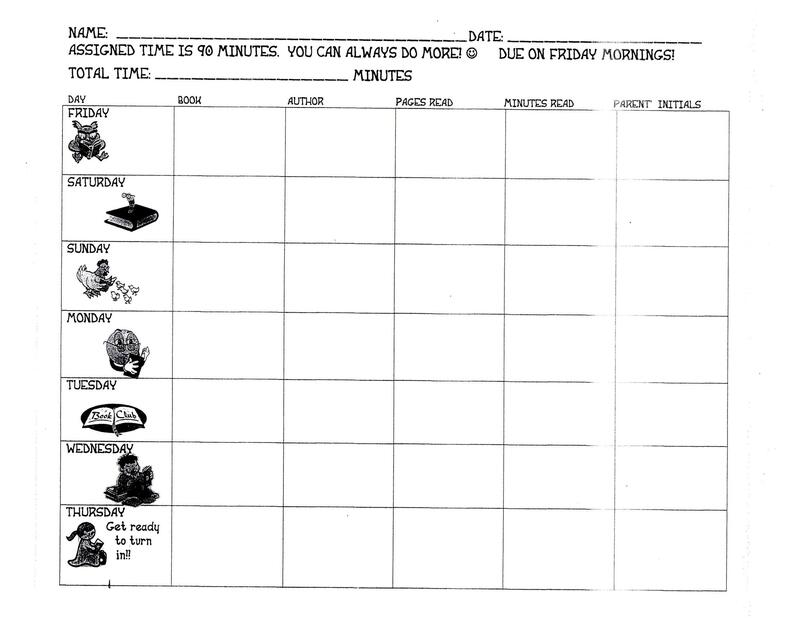 Depending upon your preference, you can even copy those passages or quotes you liked in the register. Once you are done reading the book, you would have several thoughts in your mind and they might change the way you think. Take some time and think over the book and take out meaning from the story of the book. Then, write it down in your journal. List down your favorite aspects and things you did not like; things that really surprised you, such as the final scene and everything else. Reflections from the book can really make your journal interesting for you and for others to go through. 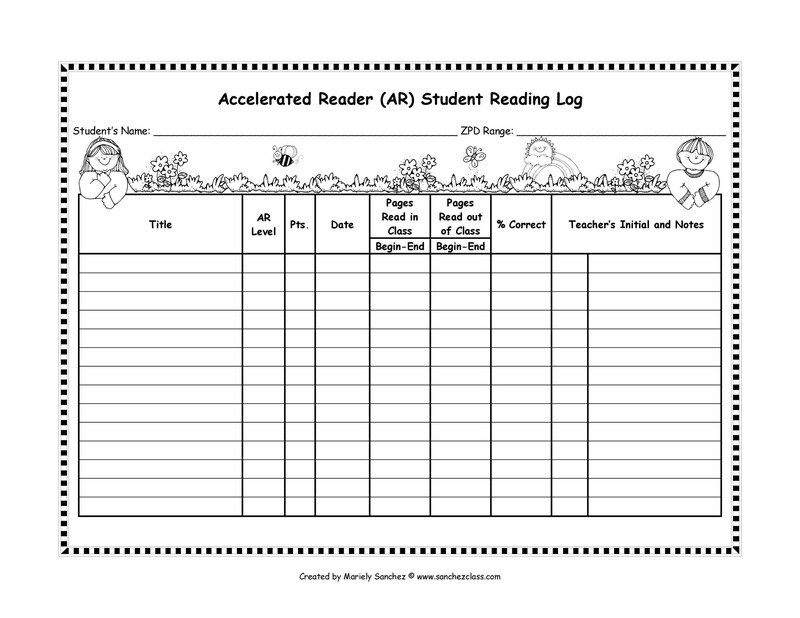 Time for Action – Download Reading Log Template Today! 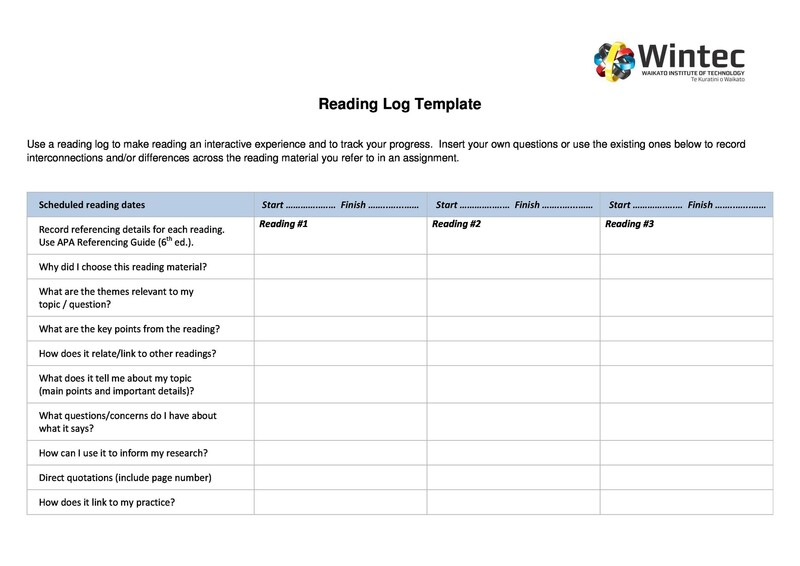 So, if you also wish to maintain and record your aha moments, understandings and puzzled moments about the book you have read recently, then download a reading log template from our website now.